After our short visit at Alabang Town Center, we went to Festival Mall to watch Harry Potter 5 and to check again for laptops. 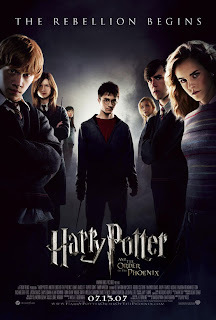 When we arrived Festival Mall, we checked the movie schedule and gladly saw Harry Potter on the board schedules. We only had 20 minutes to buy tickets and to buy food for our lunch. I ordered for a seafood rice in a box meal and waited for about ten minutes. I was very anxious that we would arrive the cinema with the movie already starting. We arrived the cinema as expected already starting. I was eating the rice in a box, actually in a Styrofoam while watching the movie. The meal is bland with just a little trace of seafood. The ice tea helped a lot in filling my stomach. Back to the movie, the first part of it was a blur to me. Anyway, the movie was great and was full of magic and action. The villain are irritating to watch and I can't do anything about it. Grrr... The main characters are all grown up now and it’s fun to see flashbacks of them as kids. Can’t wait to see the next two installments of this movie franchise.